When patient meets doctor, as well as engaging in a transaction with a clinical purpose, they react to one another as people. Their personalities and ability to make relationships in general also affect the professional interaction. As with other relationships, things can go wrong. The outcome of the consultation may not then be what was hoped for or intended on either side. 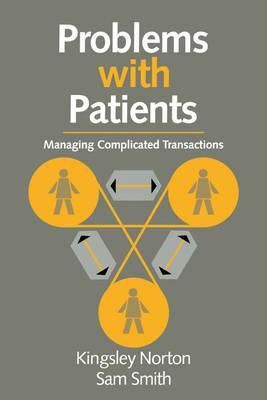 This 1994 book considers the factors which may cause problems in the doctor-patient relationship, emphasising and explaining the often unconscious personal aspects of doctor and patient within a model studied from various perspectives. Through this insight doctors can be helped to manage their interactions with patients within their own consultational style, thereby avoiding many unnecessary professional relationship problems. This analysis, which is well-illustrated by clinical case vignettes, is sure to be welcomed by clinicians, trainees and course organisers in all areas where communication between individuals plays an important role.